You’re the owner of a shiny aluminum MacBook. You saved up to buy the latest model. This thing is smoking hot! You’re slowly detoxing from the clunky Windows machine you were forced to use for what seems like an eternity. You’re elated. MacBooks rock! 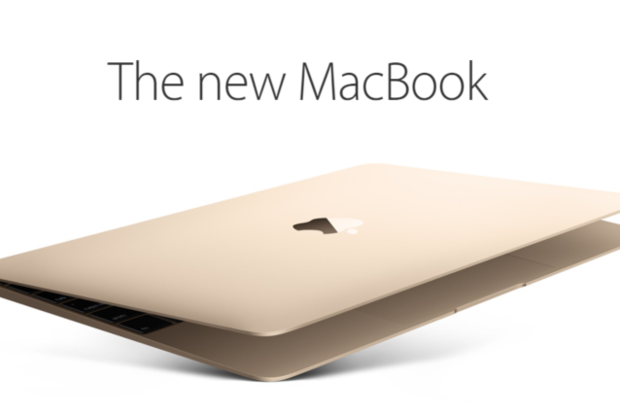 And then you hear it: There’s a gold MacBook. Suddenly your piece-of-crap aluminum MacBook doesn’t seem so special anymore. It quickly starts to look crappier. The concept of new is transformative in human behavior. It makes us angry, depressed, thrilled, curious, envious, lustful, desirous, ambitious, eager and a whole battery of other emotions. New is the psychedelic drug of marketing. Its effects on human behavior are profound, and it drives marketing campaigns, production schedules, design plans and more. It’s no wonder, then, that understanding the simple concept of new can have a dramatic impact on your conversion optimization efforts. Some people don’t like new. Some do. There’s some guy somewhere right now typing on a typewriter. I guarantee it. For the non-new lovers, new is to be eschewed. They don’t like it when Facebook changes its layout, when Windows changes its interface (the start button just disappeared!) and when the latest model of Corolla does something wonky with the headlight knob. For these people, new makes a negative. New signals a cognitive dissonance that induces anxiety and fear. These emotions are debilitating and hinder improvement. The reason many people dislike new is because they dislike change. The human brain is programmed to seek equilibrium, and familiarity generates equilibrium. It seeks predictability. We’re taught by the mere exposure effect that people tend to prefer things that they are familiar with. Let’s say you’ve owned a Corolla for years. You’ve bought and owned several. You’re familiar with the Toyota Corolla, so you’re probably not going to buy a Nissan Maxima. Why? Because you’re familiar with the Corolla, and therefore you like it. When you prefer something that is familiar, you conversely do not prefer things that are new. New? Scary? How can it be? It’s a thing. New foods, people, situations, cars — they can be frightening. In its extreme manifestation, fear of new things is called neophobia. Many times children struggle with a mild form of neophobia toward food. Neophobia encompasses more than food, however. Almost all organisms have some level of fear response to new, no matter how mild. Robert Zajonc, who pioneered research in the mere exposure effect, found that all subjects had an attitudinal response of fear to any new stimuli. We’re talking about a fear response to little drawings that resembled Chinese characters. The research only goes to prove that fear of new is a real thing and shouldn’t be taken lightly. In conversion optimization, we may be tempted to fly the “NEW AND IMPROVED” marketing banner, thinking that it will be effective. Some people, however, think it’s an oxymoron. What we need to realize is that new can be scary and off-putting, and it can drive down conversion. Now we need to cross over to the other end of the spectrum — people who love new. There’s a term for this: neophilia. In that statement, Johnson was alluding to the positive effects of novelty-seeking. However, many psychologists characterize novelty-seeking as a negative trait. Novelty-seeking should not be conflated with danger-seeking. Often, psychologists completely demonize this biological proclivity in dark and foreboding terms. There’s some truth to it; but it’s not the whole truth. Aggressively pursuing new as a precursor to euphoria or adrenaline can lead people into dangerous situations. Neophilia tends to obscure the brain’s awareness of danger and risk, and sensitivity to motivation. There are, however, upsides to novelty-seeking. Other researchers have discovered links between novelty-seeking and innovation. The love of new is a cognitive state that begins deep in the brain’s pleasure center, home of the infamous dopamine that makes us happy. Too much dopamine or an out-of-whack pleasure center makes us impulsive and reactionary, and slows higher cognitive function. It can make it hard to focus, hard to save money, easy to gamble and easy to indulge in alcohol and drugs, and may even influence criminal behavior. While the fear of new has certainly contributed to the preservation of our species (“Don’t eat that mushroom; it doesn’t look familiar!”) the novelty effect has served to advance our species. In her survey of the recent research, “New: Understanding Our Need for Novelty and Change,” the journalist Winifred Gallagher argues that neophilia has always been the quintessential human survival skill, whether adapting to climate change on the ancestral African savanna or coping with the latest digital toy from Silicon Valley. Nothing reveals your personality more succinctly than your characteristic emotional reaction to novelty and change over time and across many situations. It’s also the most important behavioral difference among individuals. This leaves us with two distinct groups of people: those who love new and those who hate it. How in the world does this serve to improve conversion rates? Thankfully, psychology comes to the rescue yet again! Let’s talk about these people. 1. Neophobes fear new, novel or unfamiliar things. This is one extreme of the spectrum. Neophobes possess an irrationally negative reaction to new things. There are, of course, gradations within the neophobic population. A fear response in one person can be paralyzing, leading them to stay in bed all day; the fear response in another person can be mild, allowing them to function, albeit in an agitated state. One person may be afraid of new people, whereas a gregarious extrovert may be only afraid of consuming new foods. Neophobia is a legitimate medical condition. Interestingly, some researchers have found that neophobia is often an instinctive response in new parents (Robert Anton Wilson, Prometheus Rising). Theoretically, the multitude of novel experiences that confront a young life under parental care can be overwhelming. The number of extreme neophobes in the population is relatively small. However, there are plenty of people who possess mild neophobic tendencies. Older people more than younger people. The older someone becomes, the more ossified their approach, worldview and love of routine. Those who possess less life experience and/or awareness. Those who are confined geographically, and have limited access to or awareness of global conditions, alternative lifestyles, or contrasting cultures. As an example, think of how an isolated Amazonian tribe that lacks any contact with industrialized society might respond to the arrival of a large helicopter in their village center. 2. A neophile loves new things. The guy who camps outside the Apple store two days in advance of an impending release just to be among the first few with an iPhone 6, is a neophobe. He loves new things. He’s not alone. There are countless others whose love for novelty drives them to try things that are new — and often dangerous and/or exciting, as well. They can quickly adapt to change. They are not content with the status quo. Their preferred experiences in life are new ones. They are likely to foment unrest and/or incite chaos in their search for newness. Neophilia, in the extreme, can produce negative consequences. In moderation, however, it is a virtue in disguise. Neophilia allows people to expose useless traditions, invent new technology, create breakthrough solutions, and disrupt decrepit industries, governments and societal norms. Neophiles are often the leaders who create change. As is true with neophobes, there are infinite varieties of neophiles. Some people simply prefer new, while others crave new. Some people like new toothpaste only, while others want new everything. Every single one of your customers is either a neophobe or a neophile with vast differences in the way that they respond to your marketing, messaging, and approach. So far, we’ve left something significant out of our explanation: What is new? I’ve referred to the idea plenty of times, but I want to explore it a bit further. You need to acknowledge the fact that, not only do different people have different response to new, but different products and services can evoke varying fear and desire responses. Let me discuss a few of the possible permutations of new and how different people might respond to them. A new process or system can mean a new way of doing things. A new way of doing things requires learning something new. This can be a loathsome process for some people, especially if they have a neophobic tendency to begin with. When Google changed their logo, notice how people responded. Some people loved it; some people loathed it. Sometimes, you need a new website. You might think that a website redesign is an incontestable good, but others view it as completely useless. You don’t need to redesign your website as often as you might think, though. It can mess with your SEO, kill conversions, and mess with people’s minds. Change disarms people or even paralyzes them, as we explored above. When a manufacturer of, say, dishwasher detergent, changes their product packaging or design, have you noticed how they deal with it? They have to explain, “New design! Same product you trust!” They recognize that there may be a negative response to the change, and attempt to shore up the confidence of their target consumer. Novel products appeal to a small segment of the population. You may be familiar with the innovation adoption lifecycle: it captures the differential in responses of people to new products or technology. Innovators are in at the genesis of the product; the early adopters are the people camping out in front of the Apple store; the early majority are the people who order the new phone online. The late majority wait until they’re due for a phone upgrade; the laggards include your friend who still owns a flip phone. 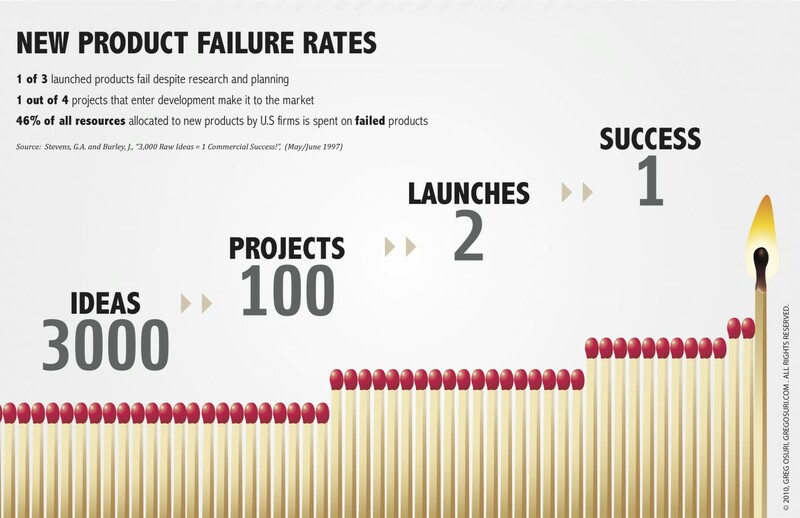 Consider, for example, the rate of failed new products. One of the reasons for the high failure rate is the receptivity, or lack thereof, of the population. The key point when considering new as part of a marketing process, website redesign, or other business change is to identify precisely what is new, and then assess the potential responses. Now that you know about the psychology of new, what should you do about it? I can’t stress this enough. Your users are the ones who determine their own positions on the nephobe/neophile scale. Don’t guess at their leanings. Ask them! Constantly evaluate your data, your split tests, your design iterations, and your conversion rates. Remember, different people respond in different ways to the concept of new. What you’ll probably learn is that your specific audience has a collective cultural attitude toward new. Knowing this will give you a powerful insight into how to use the concept of new (or not). To some, the word new is synonymous with better. To others, the trappings of familiarity are better. What does this teach us? Change is not always better, so your language should account for those variances. Describing exactly how and what has improved will go a long way in allaying fear while introducing the novelty that neophiles crave. Someone like me, who veers neophile, has a hard time getting into the minds of the neophobes. I love a new ride, a new computer, a new experience, a new wine or a new meal. I recognize that not everyone is like me. New appeals to some and not to others; for others, it causes irrational fear, which, in marketing, can lead to loss of conversions. Just accepting this fact is a major step toward safeguarding against the impressions that either create or crush conversion rates. Knowing about new is a powerful tool in conversion psychology. If, for example, your target audience is a youthful and adrenaline-loving population, then new could skyrocket your conversions. If, on the other hand, you cater to a population that is settled, stolid and neophobic, then scale back the new. Know your audience, understand new, and you’re more likely to positively affect your conversion rates.